Junior gold explorer, Pacifico Minerals (ASX: PMY), has today provided some salient updates on progress at its diamond drilling program in the McArthur Basin at its Borroloola West Joint Venture Copper/Zinc/Lead/Cobalt/Silver Project. The Borroloola West JV comprises 12 exploration licences and one mining licence spanning 1,817 square kilometres. The project covers an outstanding package of ground north-west of the McArthur River Mine, the world’s largest producing zinc-lead mine, with strong potential for the discovery of a world-class base metal deposit. Of course this is still an early stage play and investors should seek professional financial advice if considering this stock for their portfolio. According to the terms of the JV, PMY owns 51%, with the other 49% owned by Sandfire Resources NL (ASX: SFR). Four of five holes of the 1500 metre diamond drilling program at the Mariner and Coppermine Creek prospects are now complete, with assay results are expected during the next six weeks. This drilling was designed to test for major primary copper and zinc-lead mineralisation. A model of extensive stratiform, shallow, flat to gently dipping, zone of copper mineralisation has also been confirmed at Coppermine Creek. A previously unknown package containing pyritic black carbonaceous shales has intersected at Mariner. Close association with observed lead and zinc mineralisation confirms potential for sediment hosted zinc-lead mineralisation. PMY successfully secured co-funding from the Northern Territory Government for this drill program. 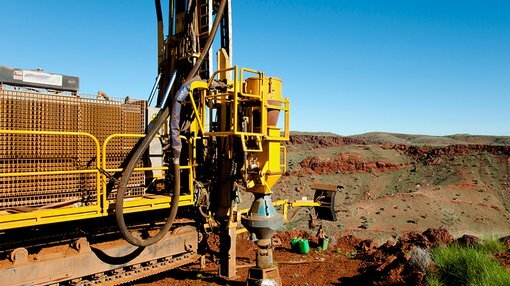 The funding, which has been provided through the Northern Territory’s Geophysics and Drilling Collaborations program, will cover 50% (and up to $165,000) of all the planned direct drilling costs at the Coppermine Creek, Mariner and Berjaya prospects. The Geophysics and Drilling Collaborations Program forms part of the Creating Opportunities for Resource Exploration (CORE) initiative and aims to increase the intensity of exploration drilling and geophysics in areas of the Northern Territory. Having just made an announcement on Monday regarding updates at its Berrio Gold Project in the Antioquia region of Colombia, and with assays due back for its Borroloola West drill in the coming weeks, PMY is having a busy and productive time, and more news flow is expected in the near future.